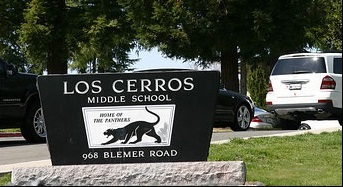 Living and growing up in a technological age, Los Cerros takes pride in preparing students for the future, with not only their curriculum but the programs they offer for students. First they have fully trained and implemented Common Core standards and are working to develop student’s critical thinking skills. Second they offer electives such as Forensics, and Computer Programing, as well as participate in the National Hour of Code during which students learn to computer code. With smaller class sizes and more electives, Los Cerros is committed to helping students grow in personalized ways.